B Resort and Space will host an Easter Egg Hunt, one random egg will have a golden ticket and whoever finds it wins a full-size Easter basket. There will also be a coloring station and additional crafts for kids. 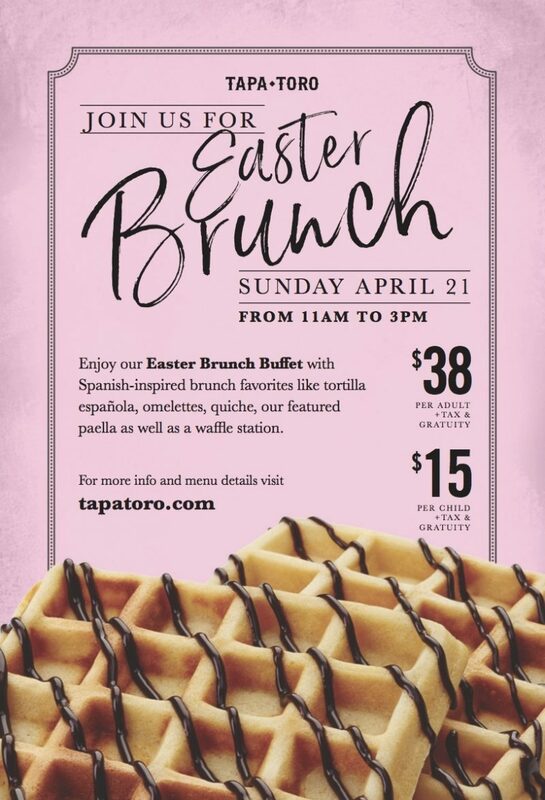 Disney Springs for Easter Brunch on Sunday, April 21 at Maria & Enzo’s Ristorante, Enzo’s Hideaway Tunnel Bar, or The Edison for an unforgettable spring dining experience. 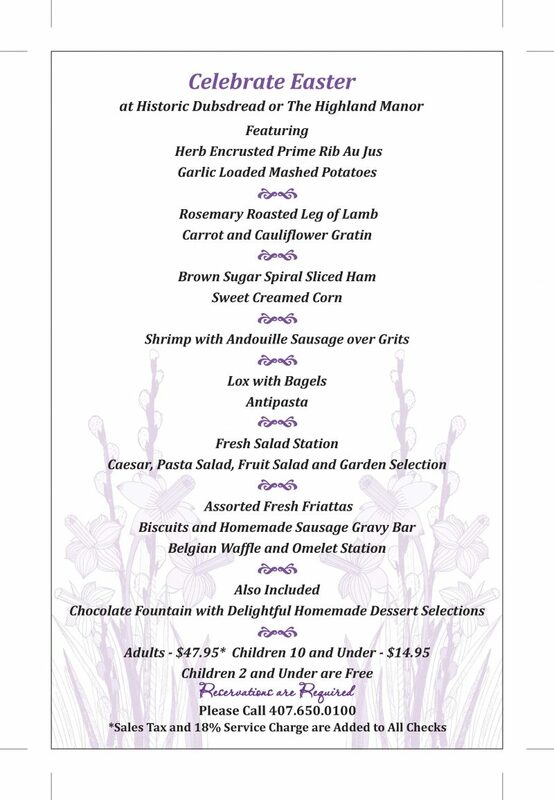 Join executive chef Jason Bergeron and his team at the Bunny Brunch Buffet! Adults are $30, and kids eat for just $12. 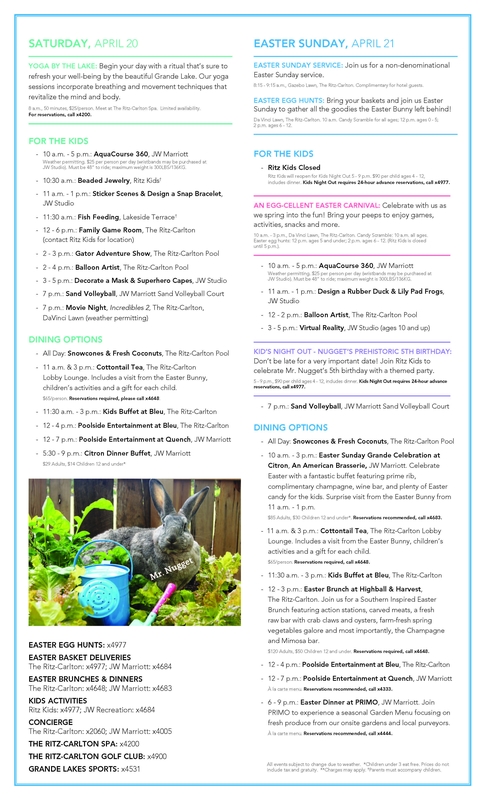 The Easter Bunny will make a special appearance, and the event runs from 10 a.m. until 3 p.m. on Saturday, April 20. 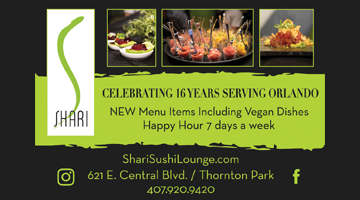 Make reservations by calling 407-313-7800. 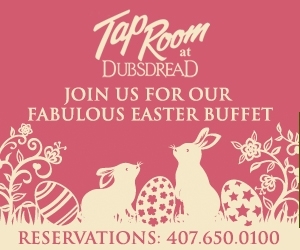 Lake Nona’s sleekest spot will offer two shareable specials on Easter Sunday. A salmon special sits alongside couscous primavera salad with sun-dried tomatoes, asparagus and rainbow carrots ($20). Additionally, a confit duck breast entrée features grilled corn salad and purple mashed potato accompaniments ($20). Make reservations by calling 407-955-4340, or at ChromaLakeNona.com. The Winter Park specialty bakery is all dressed up for spring, and will offer a trio of sweet springtime treats in time for Easter, including the Robin’s Egg Coconut Cream Cake, and two cookies – one shaped like a bunny and one like a butterfly. The cake is available for preorder with three-day notice. 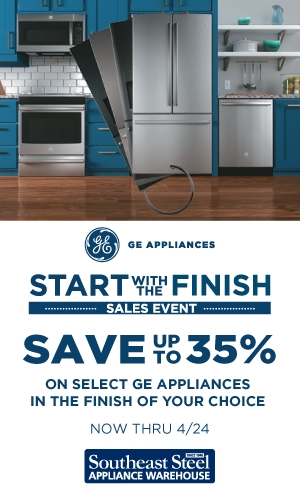 Visit TheGlassKnife.com for more information. quiche, a featured pallea, and a waffle station! 4 or more Easter dinners! 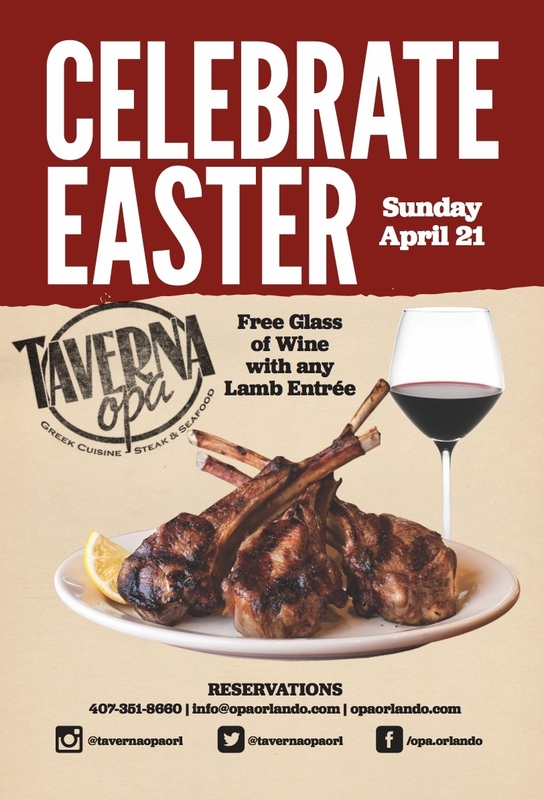 As for Taverna Opa, you’ll have not one, but two weekends to enjoy their Easter special, as the Greek-eatery celebrates Easter and Greek Easter on April 21 and 28, respectively. 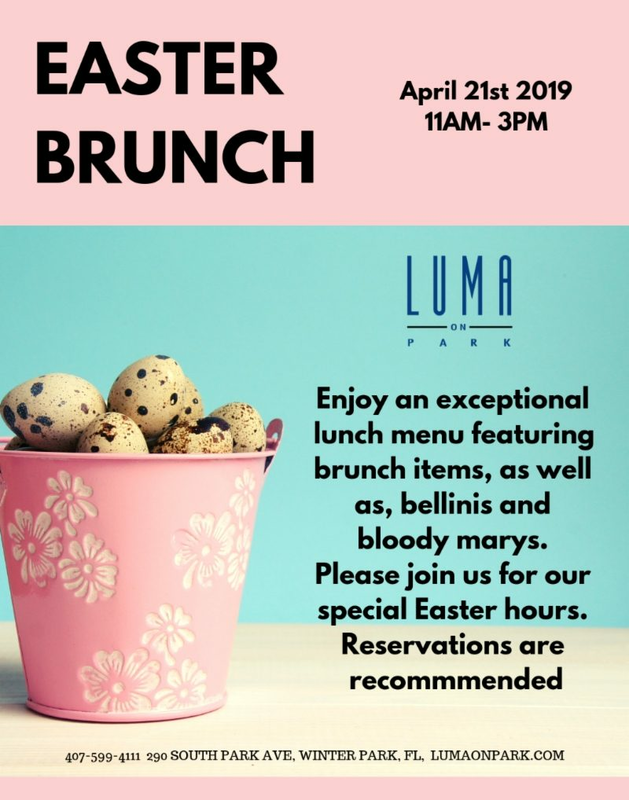 Restaurant goers will receive a complimentary glass of house wine with any lamb entree purchased, enjoy traditional Greek entertainment all day, and the chance to experience Tsougrisma, the Greek tradition of cracking red eggs for good luck! Opa! of breaking red eggs for good luck! 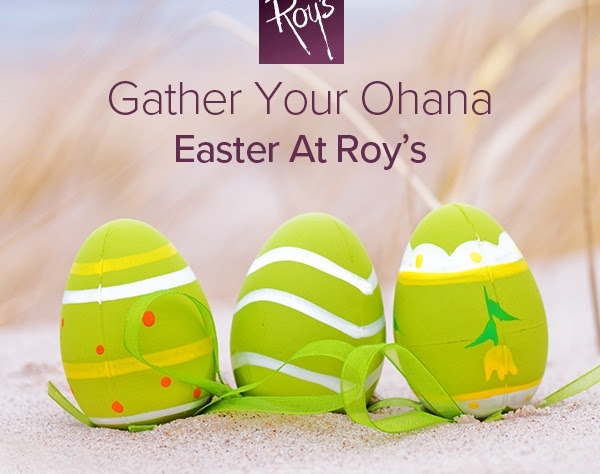 Create a new tradition Easter Sunday with brunch or dinner at Roy’s. Celebrate with innovative adaptations of brunch favorites, like our signature Hawaiian Seafood Omelet or Slow Roasted Prime Rib of Beef. For dinner, a selection of Roy’s classic dishes will be served including Misoyaki “Butterfish” and Blackened Island Ahi. Our Keiki Menu is offered for $12.95. Description: Opening early at 11 a.m., Del Frisco’s Double Eagle Steak House will be featuring their award-winning slow-roasted Prime Rib, all day. Enjoy a 16oz cut for $45 and a 20oz cut for $55. Enjoy special brunch dishes only available on Easter Sunday, including Filet Mignon Benedict ($46) and Lobster Benedict ($46). Hours: Brunch 11 a.m. – 2 p.m.; Prime Rib available from 11 a.m. – 10 p.m.
During this special fundraiser at Ace Cafe, join the Orlando Early Irons for their 47th annual Easter Rod Run. All vehicles are welcome. This open event will feature kid’s games, an appearance by the Easter Bunny, “Minute to Win It” games, Show ‘n’ Shine, a big 50-50 drawing, NSRA safety inspections, and awards. Proceeds raised at the event will go to the Russell Home for Atypical Children. For more information, or to register, e-mail EarlyIrons@ymail.com. 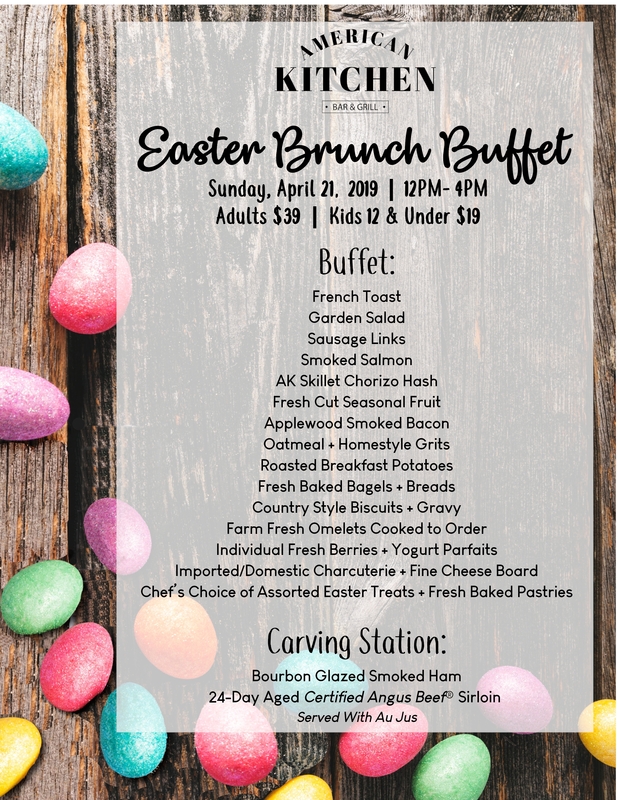 Long known as one of the most celebrated brunches all year, the Ace invites you and your friends / family to take the holiday off from cooking at home and enjoy its famed brunch buffet – complete with bottomless mimosas if you so choose – this Easter. 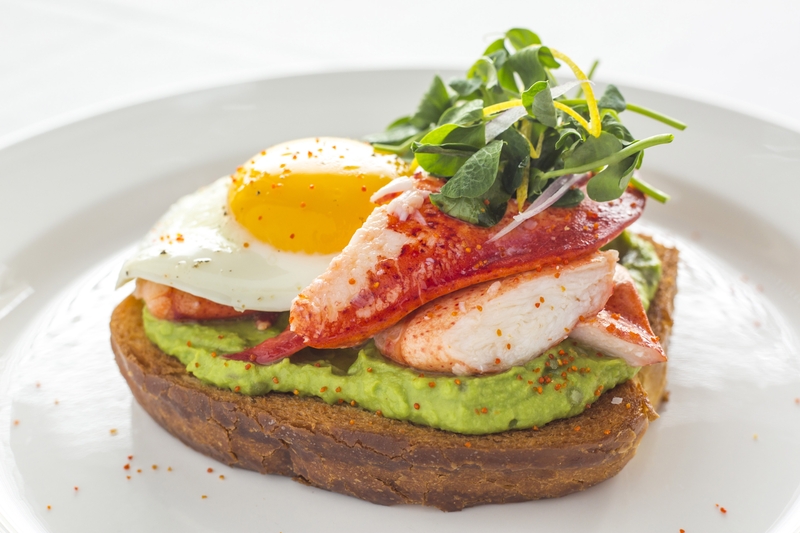 The Capital Grille offers an exceptional brunch experience in celebration of Easter and Mother’s Day. Guests can enjoy signature dishes from a Prix Fixe brunch menu: brunch will be served for $49 per person and $15 for children, in addition to serving its dinner menu all day. For the appetizer course, guests can choose between menu items such as Caesar Salad or White Cheddar Potato and Leek Soup. 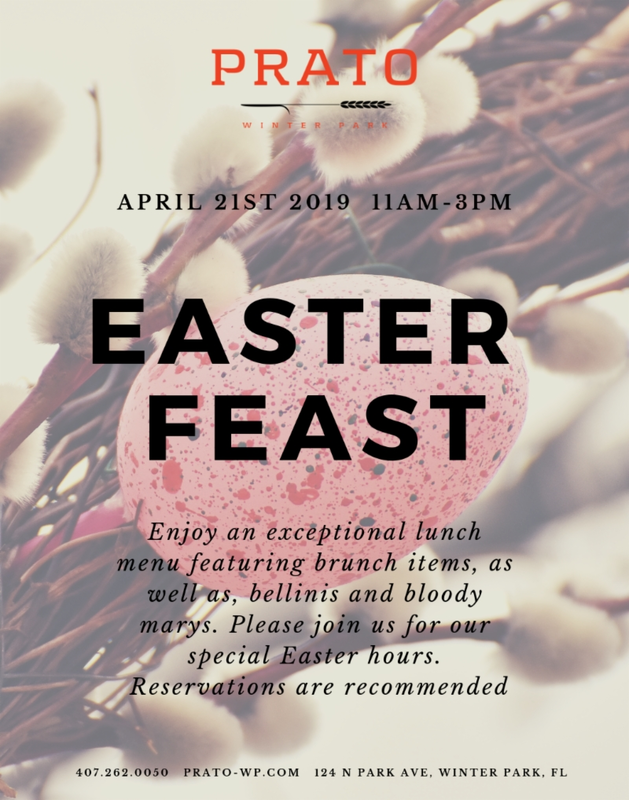 Guests can then select from a range of items for their main course, including Lobster Frittata, Bone-In Dry Aged NY Strip with Fried Egg, Shrimp and Grits, and Chicken and Waffles. Brunch concludes with decadent dessert choices like Classic Crème Brûlée or Flourless Chocolate Espresso Cake. Dessert is also accompanied by the restaurant’s award-winning wine list of over 350 wine selections, and brunch beverage classics including Mimosas for $9. 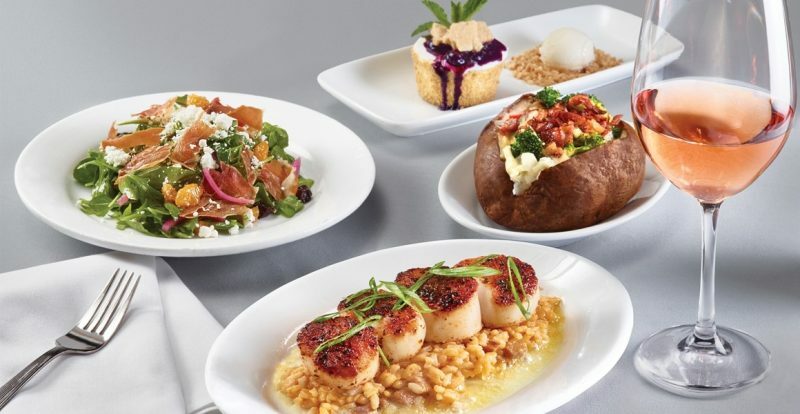 WHAT: This Easter and Mother’s Day, in addition to their full dinner menu, The Capital Grille will offer a prix-fixe brunch menu. 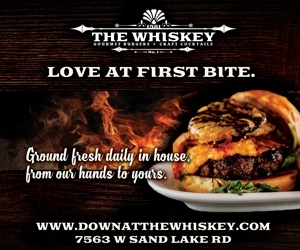 Brunch 10:00 a.m. – 2:00 p.m.
Dinner 2:00 p.m. – 9:00 p.m. In addition to serving its signature dinner menu all day, Eddie V’s will serve traditional brunch favorites at $49 per person and $15 for children. For the appetizer course, guests can choose between Norwegian Smoked Salmon, Roasted Avocado and Jumbo Lump Crab, or the Deviled Egg Trio. 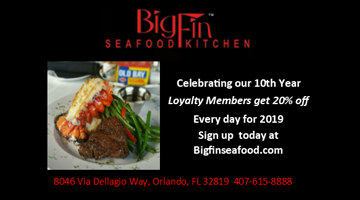 Guests can then select from a range of items for their entrée, including Pan-Seared Steak and Eggs, Lobster Quiche Florentine, Shrimp and Grits, Alaska King Crab Omelet with Three-Citrus Hollandaise, and the Crispy Chicken White Cheddar Jalapeno Biscuit. The three course brunch menu also includes fresh baked cinnamon rolls to share. Starting at 4:00 pm, guests will be able to enjoy live music in the venue. Conclude your brunch on a high note with one of Eddie V’s decadent dessert choices. Enjoy delightful options such as Banana Foster Cake with Butter Pecan Ice Cream, Butterscotch Panna Cotta with Salted Caramel and Biscotti, or fresh seasonal berries with freshly baked cookies. 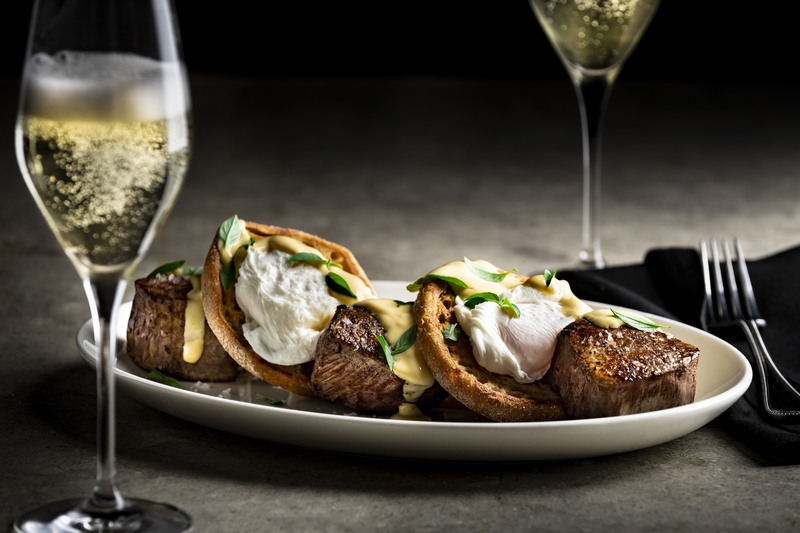 Brunch is also accompanied by the restaurant’s award-winning wine list of over 300 wine selections, as well as special cocktails such as mimosas, Bellinis and Bloody Mary’s for $9. 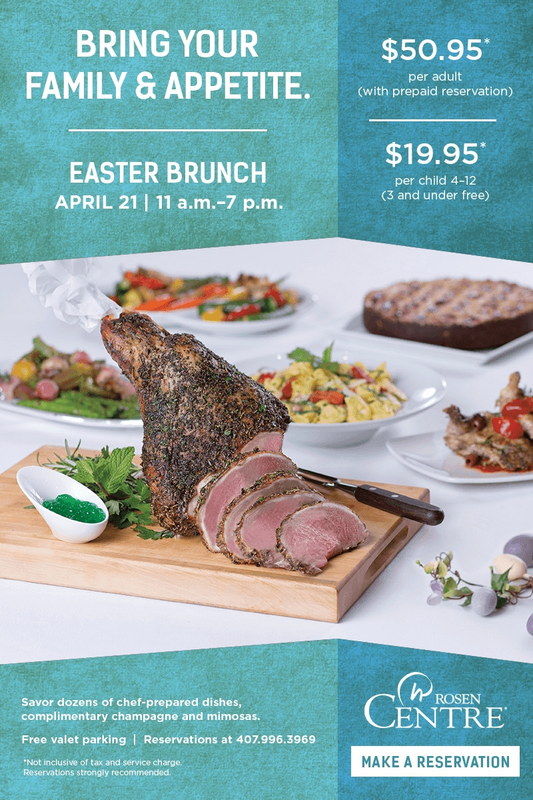 WHAT: This Easter and Mother’s Day, in addition to their full dinner menu, Eddie V’s will offer a prix-fixe brunch menu. 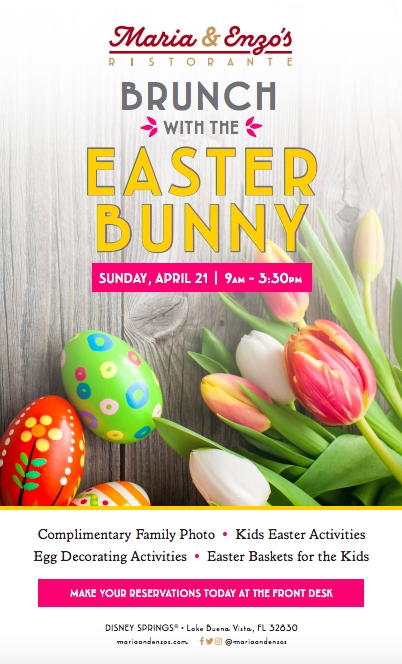 The Alfond Inn, 300 E. New England Ave. in Winter Park, will host its annual Easter Sunday Brunch and Egg Hunt on Sunday, April 21. 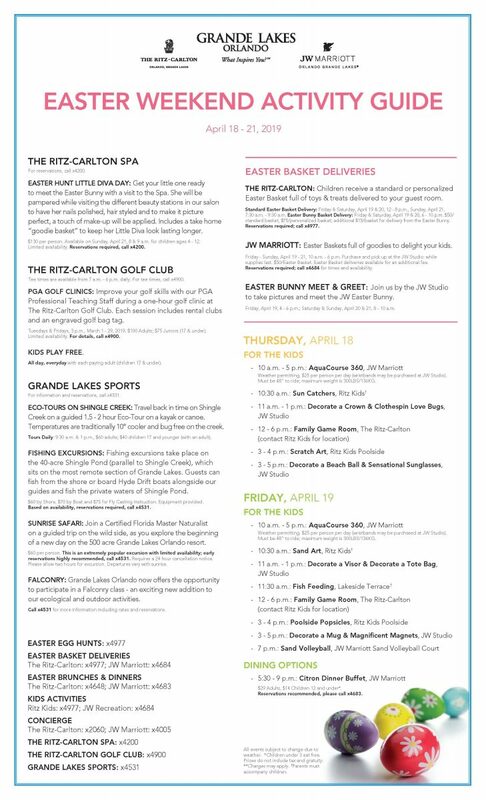 First seating will be at 10 a.m. followed by Egg Hunt at 11:30 a.m. Second seating will be at 1 pm followed by Egg Hunt at 2:30 p.m. Price is $69 per adult and $29 for children ages 5-12. Make reservations at: www.eventbrite.com. Don’t forget to bring your Easter Baskets! The Spring edition of the hotel’s popular Get Your Jazz On series will take place 6:30 to 9:30 p.m. on April 26, featuring live music from the Buzz Catz. 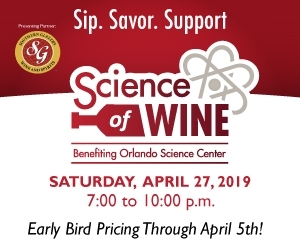 The event features unlimited select wine, beer, spirits, and seasonally blended cocktails will be available. 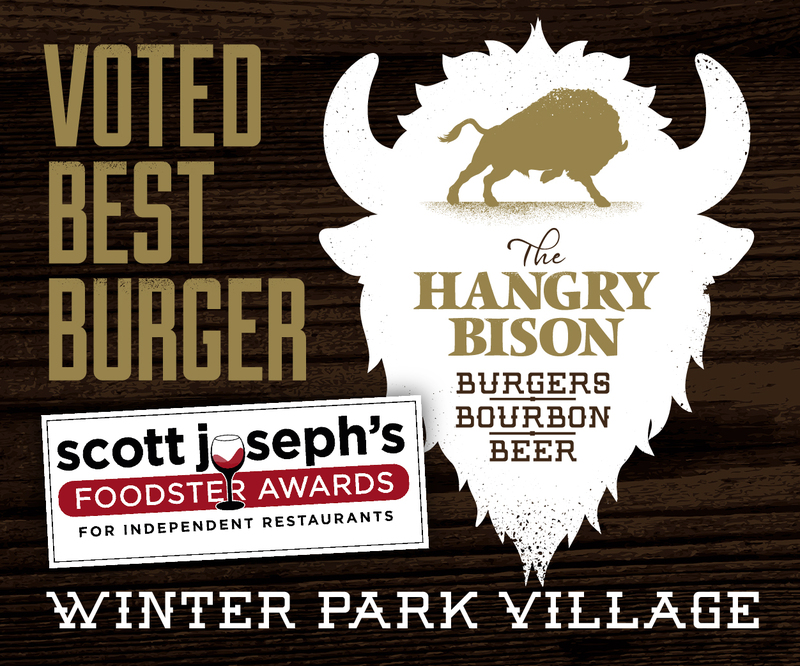 The culinary team will be serving their award-winning roasted pig and vegetarian selections will be available along with incredible food from a featured VIP food sponsor. General Admission Tickets $55, VIP Tickets with front of the stage seating and dedicated server are $80. Purchase tickets at: www.eventbrite.com. The annual Mother’s Day Brunch at the Alfond Inn will be held Sunday, May 12 with first seating at 10 a.m. and second seating at 1 p.m. Chef attended stations in the Conservatory will be featured, as well as complimentary mimosas and live music. Make reservations at www.eventbrite.com. 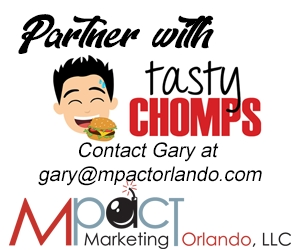 WHAT: Cuba Libre Restaurant & Rum Bar, located at Pointe Orlando at 9101 International Drive, Orlando, 32819, will offer a special Easter buffet with seating available from 11 a.m. to 3 p.m. 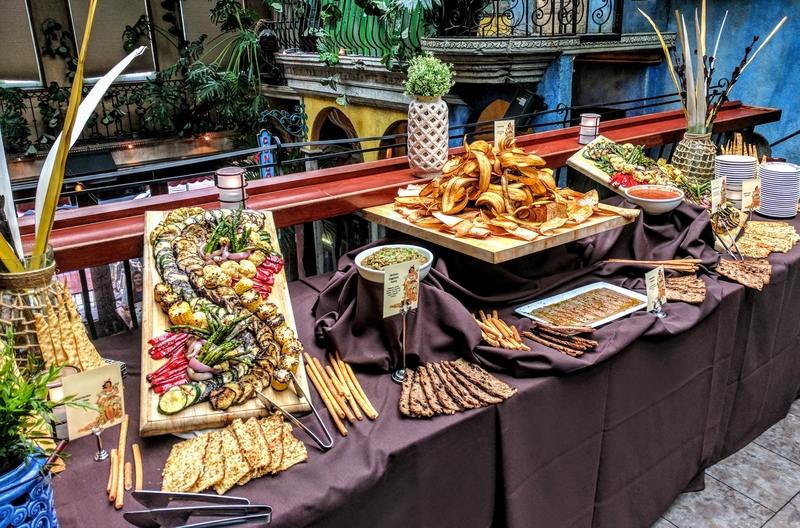 Priced at $39.95 per person and $14.95 for children 12 years and younger (tax and gratuity not included), the impressive brunch buffet includes Cuban-style brunch classics along with seasonal tapas and a carving station. Curated by Executive Chef Jose Gonzalez, the menu includes dishes such as Jumbo Lump Crab Meat & Potato Cake with salmon caviar and tomato hollandaise; One Eyed Brisket Ropa Vieja with Maduro, boniato, potato, plantain and corn hash, served with a fried egg and whole wheat toast; Chorizo Waffles & Crispy Fried Chicken served with roasted jalapeño maple syrup; Garlic & Herb Rubbed Roasted Leg of Lamb with salsa verde; Paella Vegetariana with baby spinach, “soyrizo”, wild mushrooms, garbanzo beans, saffron long grain rice and asparagus, served with an artichoke heart salad; Citrus-Infused Banana Leaf Wrapped and Roasted Salmon, and the Country Ham and Swiss Cheese Stuffed French Toast a la Cubana with pure maple syrup. For a sweet finish, guests can enjoy a sampling of classic mini Cuban confections. WHEN: Sunday, April 21 from 11 a.m. to 3 p.m. A la carte dinner service will be available from 5 p.m. to 8 p.m.
WHERE: Cuba Libre Restaurant and Rum Bar is located at Pointe Orlando at 9101 International Drive, Orlando, Florida 32819; Phone (407) 226-1600. For additional information, please visit www.cubalibrerestaurant.com. Ruth’s Chris Steak House is offering a three-course meal starting at $45.95 with exquisite dishes that are hard to resist. The Spring Classics Menu will be available for the holiday and include multiple options for any pallet including Blackened Scallops over Jambalaya Risotto, Signature Steaks, Stuffed Chicken Breast, and more. To finish the meal, a Blueberry Crumb Cheesecake as well as coffee and tea will be available for dessert.